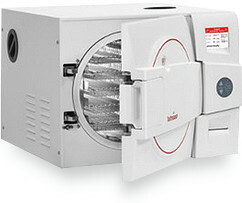 This is an overview of proper loading of your Midmark M9 or Midmark M11 autoclave. Always refer to the appropriate technical documentation for the complete list of instructions, safety alerts, and sequence of procedures before conducting any service or maintenance operations. 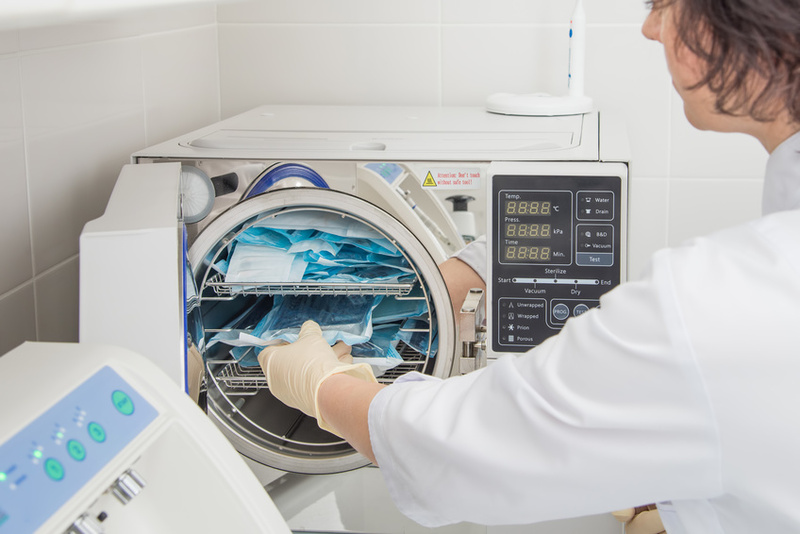 Before placing any instruments into the autoclave, check with the manufacturer to be sure the materials are compatible with the steam sterilization and verify acceptability of sterilization parameters. 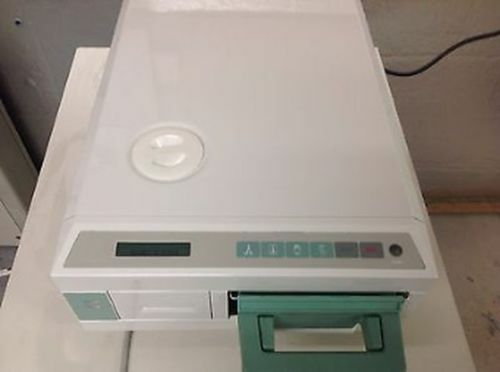 The M9 and M11 are designed to sterilize metal instruments, rubber and plastic devices, wrapping and bundling materials, cassettes, high and low speed hand pieces as well as surgical instruments. 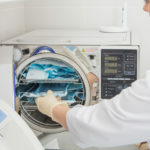 Do not sterilize items composed of any of the following materials in the M9 or M11: Corrosion sensitive metal, fragile items susceptible to breaking under pressure or high temperature, biomedical waste, plastics that may break down or produce residue when exposed to steam or high temperatures. 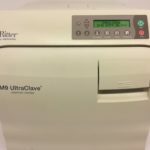 Ensure you clean and dry instruments thoroughly before placing them into the autoclave. 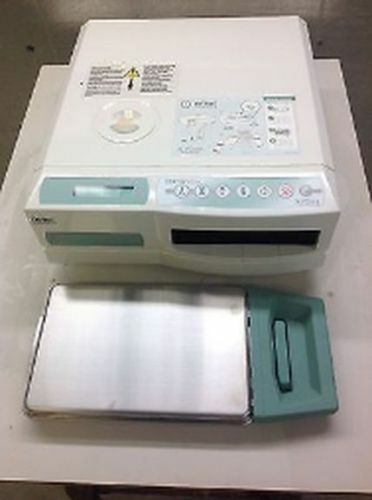 Improper cleaning may result in non-sterile instruments or damage to the unit. To ensure proper sterilization of items, these general guidelines must be followed. This will ensure that steam circulation, air circulation and adequate drainage of the condensed steam can take place. All containers must be placed so the opening allows steam to enter and the air un-condensate to drain from the container. 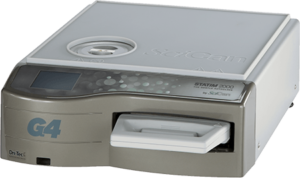 Use only M9 or M11 trays in the appropriate sterilizer. Using other trays could restrict air and steam flow to items. Place jointed items like forceps or pliers in an open position. Hand pieces and instruments must be single height loaded, not piled or stacked. 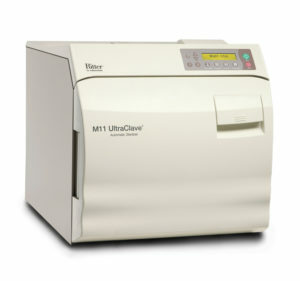 The M9 and M11 are capable of sterilizing unwrapped instruments for immediate use. Place a towel or absorbent paper on the bottom of the tray before putting unwrapped items in the tray. 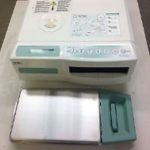 Follow regulatory guidelines for using unwrapped sterilized instruments. The midmark M9 and midmark M11 are capable of sterilizing pouched or wrapped items to preserve sterility after processing. When pouching or wrapping items, use only sterilized or pouches and wraps that have been cleared by the FDA and labeled for use with a steam sterilization cycle being used. When using cassettes in the M9 or M11 follow the manufacturer’s instructions for use. Do not wrap items too tightly. Sterilization can be compromised if an item is excessively wrapped. Pouched items should be loosely packed. Hand pieces and instruments must be single height loaded, not piled or stacked, to permit proper steam flow and penetration to the items. The preferred orientation for pouches is resting on their edge best accomplished using the Midmark pouch rack accessory. If using the standard tray, pouches should be placed paper side down. 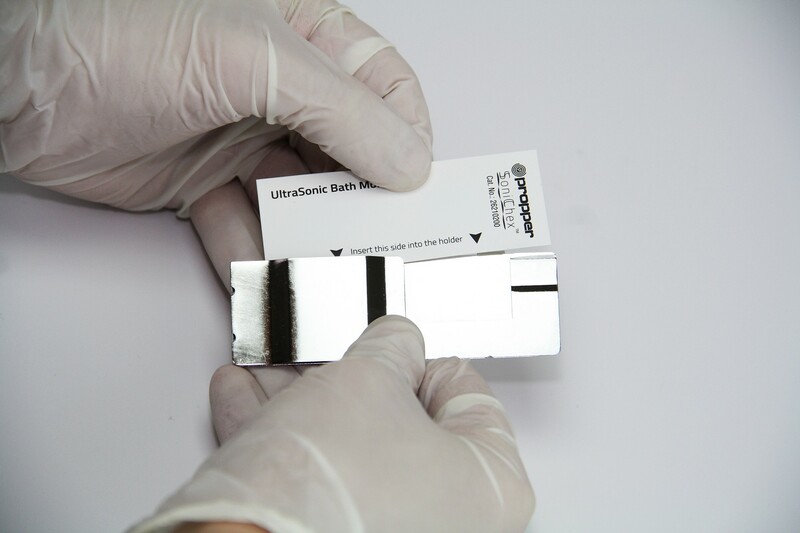 All items must be processed in accordance with regulatory guidelines for infection control. All items must fit in the M9 or M11 tray. The loaded tray must slide into the chamber opening without scraping. Instruments must not touch one another. Pouches may overlap slightly, but items must not be layered. Refer to the charts in your installation and operations manual for maximum sterilization loads. If a load surpasses these limits, we recommend dividing the load and running multiple cycles. Do not overload the chamber. Adequate space is required around items and trays for steam circulation and drying. Failure to allow adequate space will compromise sterilization and drying. 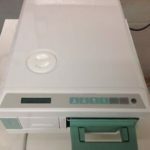 Do not run the sterilizer without the tray plates in place. 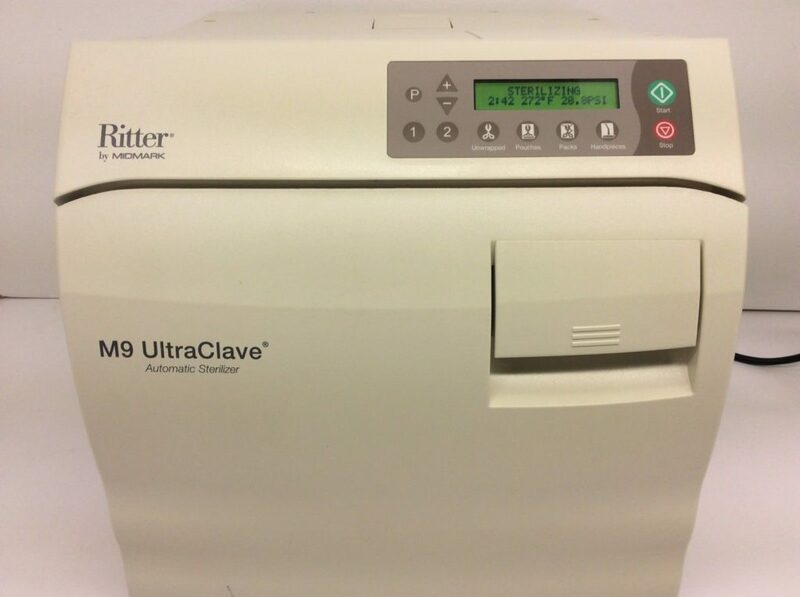 For more detailed information about loading your autoclave, please refer to the M9, M11 installation and operation manual.